Ph.D. in Media Studies from Indiana University-Bloomington. Dr. Ardizonni's research focuses on global media, connected media practices, and media activism. Her study of Italian television North/South, East/West: Mapping Italianness on Television was published in 2007. 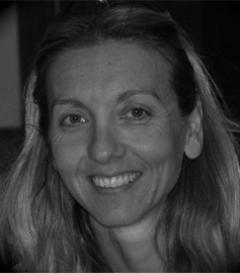 She is also the co-editor of Beyond Monopoly: Globalization and Contemporary Italian Media (2010) and Mediterranean Encounters in the City (2015). Her research has also appeared in several media journals, such as Journalism, Jump Cut, Journal of Communication Inquiry, Journal of Italian Cinema and Media Studies, International Journal of Communication. Her most recent manuscript is titled "Matrix Activism: Global Practices of Resistance" (2017) and examines contemporary practices of media activism focusing on the dichotomy between alternative and mainstream, consumption and production, centers and margins.